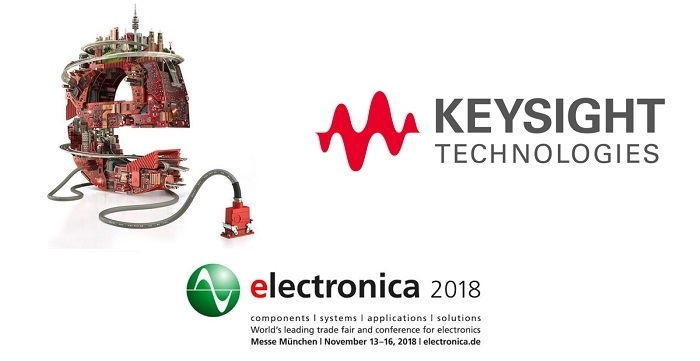 Keysight has confirmed its presence for the upcoming electronica 2018 event in Munich, Germany from November 13 - 16. The company will demonstrate a wide range of new test and measurement products and solutions, hardware and software, plus comprehensive services, which accelerate innovation in automotive, industrial and communications markets. Zero compromise USB test stations that decrease costs and get products to market faster. Bench oscilloscopes that offer a complete hardware and software solution for embedded, automotive, power and other applications with a consistent interface across the range. Automotive Ethernet solutions that provide automated compliance testing for BroadR-Reach V3.2, IEEE 802.3bw (100Base-T1) and IEEE 802.3bp (1000Base-T1) designs. Power electronics design tools that offer a common design flow for designers of power electronics such as power converts and switching power supplies to predict their behavior and generate a reliable design. Click here to see everything RF's event coverage of electronica 2018.